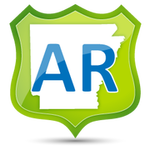 Arkansas alcohol seller-server safety training ensures that sellers and servers of alcohol understand state and local liquor laws and serve alcoholic beverages responsibly. An alcohol seller-server training program can also significantly reduce the risk and liability associated with alcohol service. 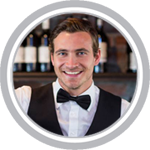 Alcohol safety seller-server training or certification may be required for employment to sell or serve alcohol in a state or for a business. Alcohol responsible beverage service (RBS) training is necessary for position as a bartender since most employers require proper knoweldge and skills of alcohol service prior to employment. Establishments that sell and serve alcohol and may require alcohol service training: bars, restaurants, hotels, taverns, night clubs, banquet halls, liquor stores, grocery stores, convenience stores and gas stations. Educate owners, managers and staff on liability, state laws, and local ordinances regarding alcohol service. how to refuse a sale. Audience: Employees in establishments that sell and serve alcohol in bars, restaurants, hotels, taverns, night clubs, concessions, banquet halls: bartenders, bar backs, servers and managers. At the conclusion of the course, the learner will be tested on their knowledge of the learning objectives and content. Upon successfully passing the exam with a minimum of 70%, the learner will be able to download a course certificate. The Arkansas Alcohol Beverage Control (ABC) Division controls alcoholic beverages through regulation, supervision and control of the manufacture, distribution and sale of all alcoholic beverages and the issuance of permits, as well as education. The mission of the Division is to exercise supervision and control over a system which allows for the legal distribution of alcoholic beverage products in the State of Arkansas. We offer online Alcohol Safety Training in Arkansas for: Little Rock, Fort Smith, Fayetteville, Springdale, Jonesboro, North Little Rock, Conway, Rogers, Pine Bluff, Bentonville, Hot Springs, Benton, Sherwood, Texarkana, Jacksonville, Russellville, and many more!